This time, I double up the recipe from the previous strawberry pastry cake. 1. 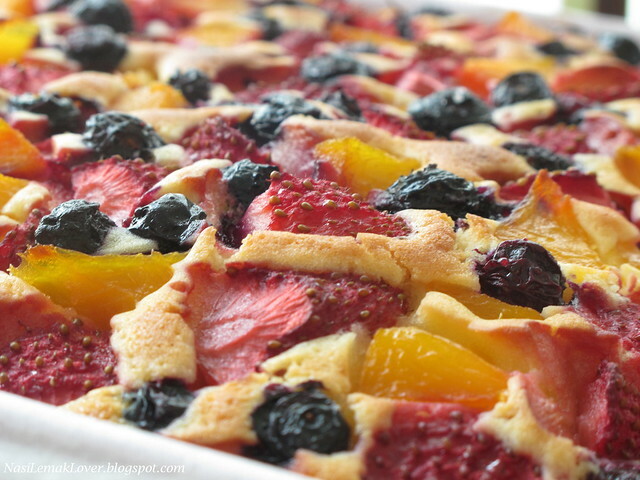 Cut strawberry and peach into small piece, and toss strawberry and blueberry with sugar (if desired). 8. 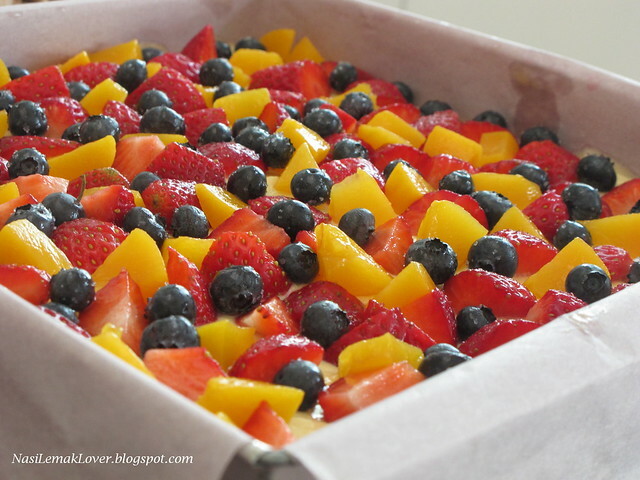 Arrange mixed fruits on top of the cake batter, don’t press the fruits down into the batter. wow loaded with fruits. pretty! Whoah make me drool all the way...!! and i realised that u line your pan soooo nicely! I will just squeeze the paper in.HEHE..i should be ashamed of myself.. I did this before but it didn't turn out as nice as yours! Perhaps I should have added more fruits? Very lovely! That looks delicious, Sonia! What super photos you took of it too. Sour cream always makes a cake very moist. I think I'd like a big dollop of whipped cream on this! Wow again the cake looks fantastic! Gorgeous! I'd love to have a slice :) Lucky them! Dear, is it not too sweet for 300g's sugar? OMG looks so colorful ,soft and absolutely gorgeous! hv u keep a slice for me?? I am tasting sunshine and summer in your cake! Bookmarked but not try yet. Love the colourful fruits on top the cake, absolutely delicious! this is sooo YUMMY! i baked this before. still, yours look so much LOVELIER (: yummy!! It looks so beautiful - esp the mosaic of fruits on top! I am always in awe looking at your cakes.Looks beautiful and delicious. I like the generous fruit toppings! So pretty! The color arrangement on d ToP was beautiful! Inspired me to make 1 for my snap...hehe..
Wow ! 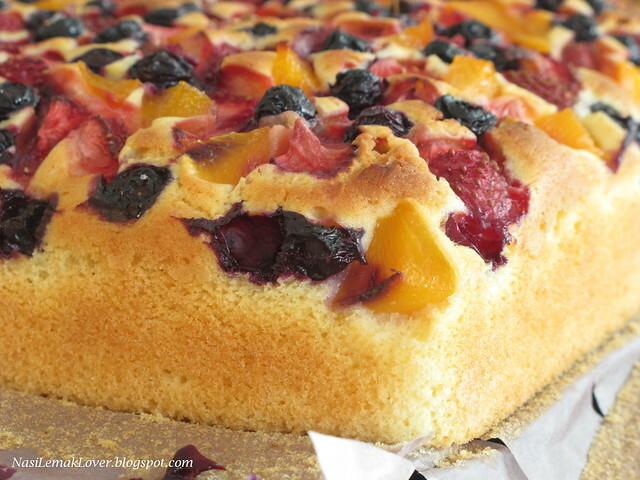 The cake looks fabulous with so much fruits ! And the texture looks so soft and tempting ! That is one pretty cake. fabulous! your cake isn't just a cake itself but an art...hopefully i can bake one just like yours. oh, i got this question keep annoy me. 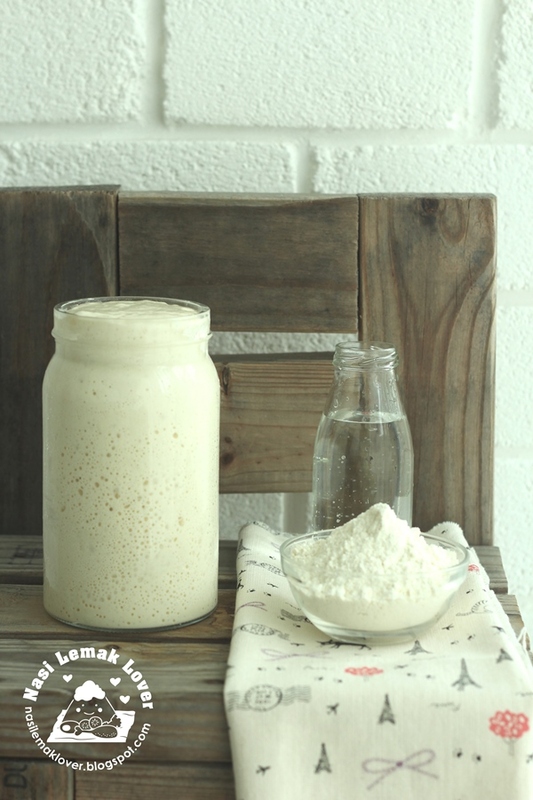 does cake flour is self raising flour or just the flour? because in your recipe there is no leavening agent. Jane, cake flour is low protein flour which is suitable for making cake and biscuit . It is difference from self raising flour. In my recipe, there is baking powder added. your relatives must be so delighted to see the cake becos it's so pretty!guess they must have enjoyed your cooking as well! 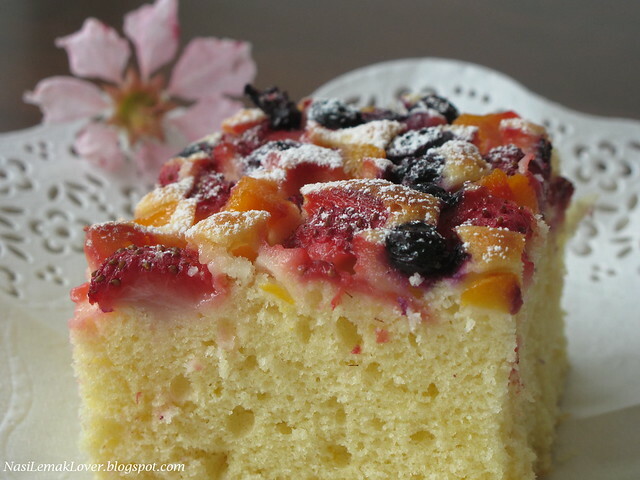 MKM, the sweetness of this cake is just ok, there is sour cream or yogurt added , so it balance the sweetness. If not, you may reduce the sugar to suit your tastebud. You are very generous with your fruits! gorgeous! Yummy and so pretty when presented. Awesome!!! Soft & perfectly baked cake. Wife told me she might try this recipe! Thank you! This cake is very beautiful and interesting. May I know which butter should I use? Salted or Unsalted?